A dramatic, sudden loss of wind power generation was the root cause of South Australia’s state wide blackout last week. And the bulk of damage to high voltage transmission lines that was caused by high winds and paraded as evidence to defend renewables most likely took place after the power had been lost. These are the major facts contained in the Australian Energy Market Operator’s (AEMO) preliminary report. More work is needed to flesh out the forensic, time sequenced analysis that has already been conducted. But there is enough in the interim report to make the rush to defence of renewables mounted by special interest groups and conflicted state governments since the lights went look foolish. Certainly, the power would not have been lost were it not for the big storm. And seven big towers were damaged in the lead up to the blackout. But AEMO said data currently available indicates that the damage to the Davenport to Brinkworth 275 kV line on which 14 towers were damaged “occurred following the SA Black System”. The big event was a 123 MW reduction in output from North Brown Hill Wind Farm, Bluff Wind Farm, Hallett Wind Farm and Hallett Hill Wind Farm at 16.18.09. Seconds later there was an 86 MW reduction in output from Hornsdale wind farm and a 106 MW reduction in output from Snowtown Two wind farm. No explanation was given for the reduction in wind farm output. But the loss of wind farm production put too much pressure on the electricity interconnector with Victoria which cut off supply. This in turn led to a shut down at the Torrens Island power station, Ladbroke Grove power station, all remaining wind farms and the Murraylink interconnector. The state’s biggest wind farm, at Snowtown, is among those which the Australian Energy Market Operator has targeted in its “management and analysis” of last Wednesday’s unprecedented power outage as it gradually restores the power network. The move will prompt further questions over whether renewable energy jeopardised electricity grid stability and triggered the cascading blackout, which started when fierce winds damaged 23 Mid North transmission towers and severed three high-voltage lines. Premier Jay Weatherill, who on Tuesday revealed former police commissioner Gary Burns would lead an independent review into the catastrophic storms and power outage, said he expects a preliminary report from the national electricity market operator by late on Wednesday. The 10 wind farms, all but one in the Mid North, were the subject of a national electricity market notice issued late on Monday night, in which AEMO says it is not satisfied that a failure, or trip, of multiple generators, following another disruption to the grid is “unlikely to re-occur”. Asked to explain, an AEMO spokesman said it had been established that some South Australian generators “had not performed as AEMO would have expected” but did not say whether this was before or after the statewide blackout. “While further analysis needs to be undertaken to identify the cause (of the statewide blackout) and any remedial steps, AEMO must continue to manage the power system to avoid any further risk,” the spokesman said, in a statement to The Advertiser. He said the power grid’s security could be maintained, in the face of a credible perceived threat, by limiting generators’ output or the flow on transmission lines to “minimise the risk of a significant supply/demand imbalance”. AEMO did not respond to The Advertiser’s questions about whether the wind farms in some way contributed to a cascading power grid shutdown, once the high-voltage pylons were toppled. Where is the old industrial Left when it’s needed? The communists merely wanted to take over the factories. The greenish Left wants to close them down. The climax last week of Labor’s 14-year campaign to de-industrialise the state of South Australia was less than triumphant. Premier Jay Weatherill’s oversized media machine was turning out cheerful press releases early last Wednesday boasting of the government’s preparation for the coming “weather event”, as we are obliged to call it. Baptist Care would be opening its doors in Adelaide to ensure that homeless people would be warm and fed, we were assured. There was silence, however, on the government’s crowning achievement: the mother of all Earth Hours that, for an uncomfortable evening, reduced carbon emissions to close to zero. This time, perhaps even Weatherill realised that his hokey, greenish socialism had gone too far. It is barely two months since Weatherill demanded $100 million from Canberra to keep Arrium Steel working. Yet it was the blackout, a consequence of Labor’s renewables policy, that ­finally shut the Whyalla plant down. Enforced idleness is costing Arrium about $4m a day. Nyrstar’s Port Pirie lead smelter will be out of action for another fortnight. BHP Billiton is unable to say when it will restart mining copper at Olympic Dam. When Labor was elected in South Australia in 2002, manufacturing provided more than 15 per cent of gross state product; now it’s less than 10 per cent and falling. The state government employs more staff than the manufacturing sector. If Weatherill had the slightest comprehension of the damage Labor’s B-grade managerialism has caused he would struggle to crawl out of bed in the morning, let alone stand for re-election. Economic growth is less than 1.5 per cent, half the national average; unemployment is the highest in Australia; investment has fallen by 0.5 per cent a year since 2011. Which raises the question: why would anybody invest in South Australia, except out of sympathy? The state’s extraordinary economic growth in the 1950s and 60s that produced jobs, built homes and bought cars was driven by cheap, reliable energy. Who would risk entrepreneurial capital in Weatherill’s energy-deficient jurisdiction? Even basketweavers need a reliable source of light. South Australian Labor has been boasting for years that its policies are making the state more “sustainable”. Yet if a measure of sustainability is keeping the freezer running, the unfashionably brown coal deposits from Leigh Creek were working better than subsidised windmills. A sobering report from Del­oitte’s last year noted the irony: “Renewable generation is already challenging the sustainability of the South Australian system.” Adding more renewable capacity, it said, would destabilise the system further. The speed of South Australia’s transition from coal to wind and solar is breathtaking. The state’s renewable generation capacity has more than doubled in the past six years. Other regions that have made transitions on this scale, such as Denmark and Iowa, already had strong network connections with neighbouring producers, making it easy to buy in baseload power when the blades stopped turning. By contrast, as we saw last week, South Australia’s energy link to the outside world seems held together with sticky tape and string. The state’s capacity to produce its own baseload power from fossil fuels has rapidly diminished. The state’s four largest power stations — two at Port Augusta, Pelican Point and Torrens Island A — will have closed or will be in mothballs by this time next year, made unviable by unpredictable deluges of cheap wind power. The combined lost capacity of 1250MW represents a third of the state’s generating potential. What has filled the gap? You’ve guessed it: imported power from Victoria, generated mostly by the same brown coal deemed unacceptable in oh-so-clean South Australia. Upgrading the national grid to give South Australians the comfort of a reliable energy supply will be expensive. The costs inevitably will push up power prices, passed on as another hidden cost of Labor’s carbon fetish. 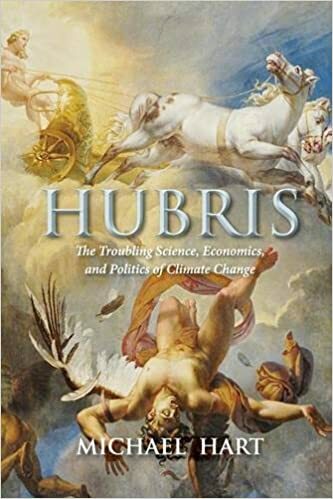 The second part of the book deals with the politicisation of the science, and especially the studies of future impacts and possible measures by way of mitigation and adaptation under the aegis of the United Nations. This is where we see evidence of serious malpractice in continuous post-hoc modification of historical data, exaggeration of claims, the collusion of the premier journals and the reports of the academies that report upper extremes as expectations by the simple expedient of repeating the extremes without qualification, and sedulously avoiding any mention of the proven upsides of the last century of global warming. One chapter entitled ‘Baptists, Bootleggers and Opportunists’ draws some interesting comparisons of the contemporary climate change movement (for that is what it is) with the temperance movement a century ago.